We're raising £1000 to buy some coding equipment for our pupils which will allow our Code Club to get creative, get connected and get coding from Nursery to Primary 7. Our Digital Leaders group runs on a Friday afternoon and is a mix of children from P4-7 who are interested in using computers and technology and enjoy working out how to use them well. Their roles and responsibilities include keeping technology spaces clean and tidy, reviewing apps and software, helping our teacher and younger children with ICT problems, and using Digital Technology in and around the school to enhance learning. Some of our Digital Leaders have started a Code Club on a Monday after school to share their learning with other P4-7 pupils within the school including children from the Enhanced Provision who have Additional Support Needs. 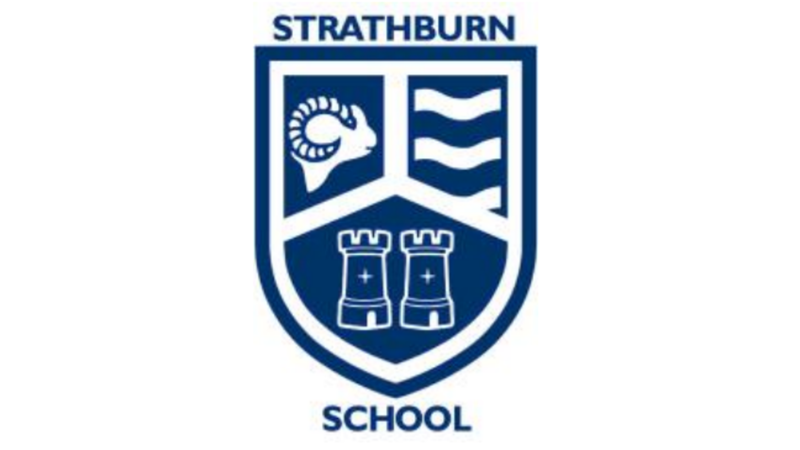 This year at Strathburn Primary we have started our Digital Journey: we aim to have 'Digital Technology' at the heart of everything we do. Our Digital Leaders and Coding Club are up and running! However, in order to achieve our aim and vision of enabling all children from Nursery to Primary 7 to be coding, we require additional resources and some new and innovative equipment to support us on our journey. At the moment, we're using some resources on the computer (Scratch) and iPad (Tickle, Swift Playground, Tyker and coding apps). However, we'd love to further enrich the learning of the 450 pupils in our school. Our Nursery and Early Years children would benefit enormously from Blue-Bots, whilst micro:bits and Raspberry Pi equipment would take our coding to the next level. Blue Bots are the new Bee-Bots with a bluetooth connection. Children can use the buttons on the back of the Blue-Bot to program it. The Blue Bot also connects to a PC or iPad via bluetooth to enable children to program the Blue-Bot remotely. The micro:bit is the perfect way to start kids coding and making. It is designed to allow children to get hands-on with hardware while also teaching creative problem-solving skills. We would plan to use these with older pupils in the school. As a result of your donations, our students can develop Digital Literacy skills and become the Digital Creators of the future. These Blue-Bots would enhance digital learning and coding in the Early Years within our school which would provide a great foundation for us to build upon. The Raspberry-Pi machines would enable us to take coding to the next level in our Coding Group. These tiny computers allow the children to learn about programming through fun and practial projects and would be an excellent addition to the coding equipment in our school. You don't need to give money to help us succeed! Please share this project with anyone you think would support us – on Twitter, Facebook, LinkedIn, by email, telephone, in a chat over the fence or on your blog. Please support us and help make a difference to our students. A thank you note from teacher. Thank you note from students. Personal recognition of the donor in our newsletter and school blog.